Summer Fun & Safety Guide For Kids: How to beat the heat this summer - Being Mumma! But you need not worry! Beingmumma is here with some cool tips, home remedies, activities and ideas to help your kiddo beat the summer heat. 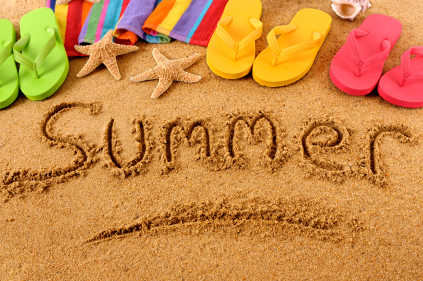 So, get ready to read and learn your bible of summer tips by heart , this year! Swear by water. Make your child drink as much water as she can. Sippy cup, bottle, glass, spoon – use whatever she likes and make her drink water every now and then. Onions are in. Make onion salads, onion pickles, feed them raw to him (obviously if he likes it) – just get them down his throat somehow. They are an awesome cooler and help the body to regulate its temperature. I scream, you scream, we all scream for ice creams! 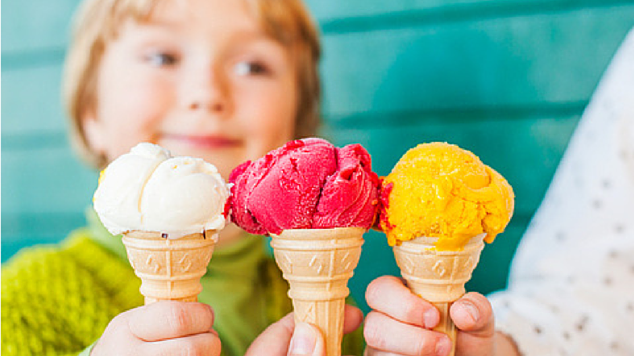 Ice creams are the one thing all kids love. Give them as much as they ask for – but, make sure it is home made. You could also freeze different types of fruit milk shakes in ice cream moulds and give them to your kid as ice cream! Trust me, they won’t come to know and it will do you ten times good than the original ice cream! Buttermilk is the best. Not all kids love to drink water all the time, but there is a good chance that they would prefer drinking butter milk. Try to make them have a glassful of buttermilk with every meal. If they drink even half; half your work is done! Increase the intake of seasonal fruits for your child. Watermelons, mangoes, litchis, berries, cucumbers, peaches and plums – buy them in abundance and make your kid have it. This will boost her immune system and help her be safe from the summer. Make use of inflatable pools and allow your kid to enjoy in the water, early in the morning or in the evening. Make sure to responsibly monitor your child at all given times and also be mindful to not overdo your child’s exposure to water and sun. 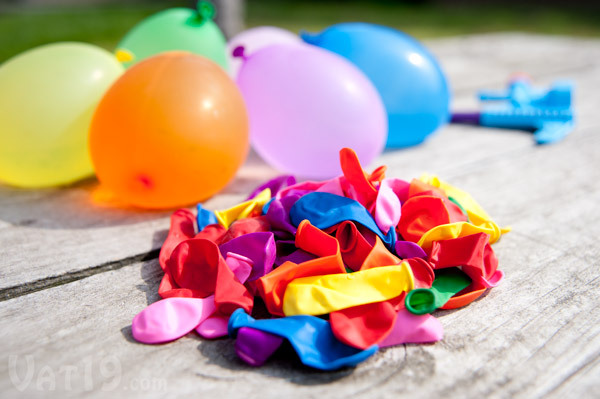 Get a pack of water balloons and have your child fill them up with water. Call friends home. Let them enjoy. Of course you need to entertain them indoors as outdoors are too hot to be bearable. Let’s play Holi! Who said Holi can’t be played after March? Bring out those Holi pichkaaris (water guns) that you dumped in the store few months back and see your child enjoy with his friends. Try out making new smoothies, summer cool drinks and coolers everyday. Involve your child in preparing the drink and see her enjoy the event as well as become interested in having it! Enroll your child in a swimming class. If your child is old enough to learn swimming and still hasn’t; then this is the best time for a swimming class. Choose one that is close to the house and conducts sessions early in the morning or in the evening. This will help youR kid fight the summer heat as well as learn up a new sport. Summer Diarrhea is very common in kids during the summer season. Protect your child against it by discouraging her from eating out and drinking untreated water. Also, feed ‘curd’ to your child on a daily basis in order to have all the good bacteria get into her digestive system – protecting her against all kinds of stomach infections. Cover your child’s head and ears when out. 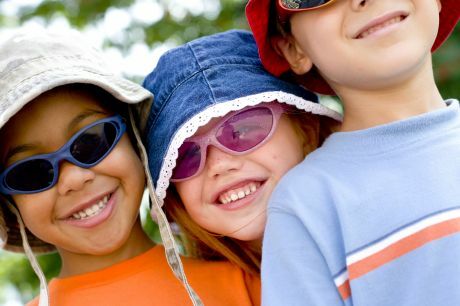 Whether you are travelling by bus, car or by foot-don’t forget to cover your child’s head as all the heat is said to ‘attack’ the body from head and ears! Encourage the habit of wearing a hat and coolers if you can. Teach your child to not drink water from just about any available source outside. Hand over a bottle or thermos flask with chilled water before your child leaves the house to discourage the habit of drinking water from unreliable sources. Keep doors and windows closed during day time. Try to cool down your house as much as you can by shutting all doors and windows that allow hot air to come in. Keep the curtains drawn at all times and use coolers and ACs as much as you can. Bathe your child at least twice a day. Give a bath to your child morning and evening or night. This will help diffuse all the heat and also leave your child feeling fresh, cool, clean and rejuvenated. 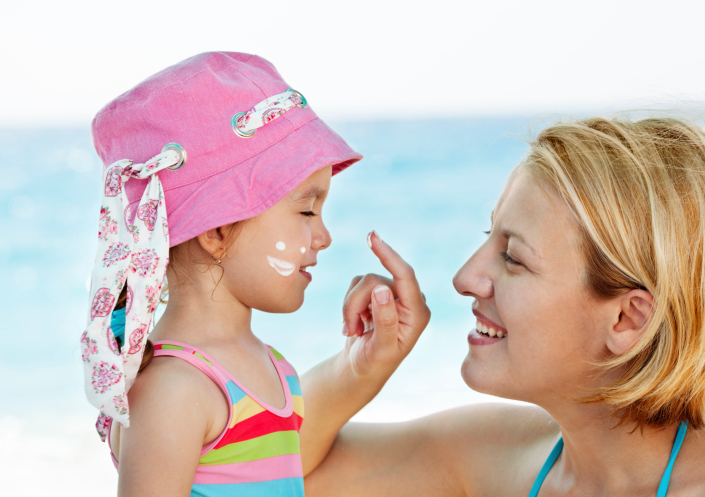 Make sure you stock up on bottles of children’s sunscreen lotion (with SPF that is at least 15, not to mention the UVA and UVB protection) and don’t forget to apply it at least 20 mins before your child steps out in the sun. Stick to cotton clothing. Stuff your child’s wardrobe with cotton clothing which is light colored, comfortable and loose fitting. Comfortable clothes will help her bear the summer with ease. These are the tips I follow and swear by. Is there anything I left out or anything you would like to add? Do take a moment to mention it in the comments section below. If the above tips are used and followed religiously, summers can be fun and can be enjoyed in the right manner and stride. 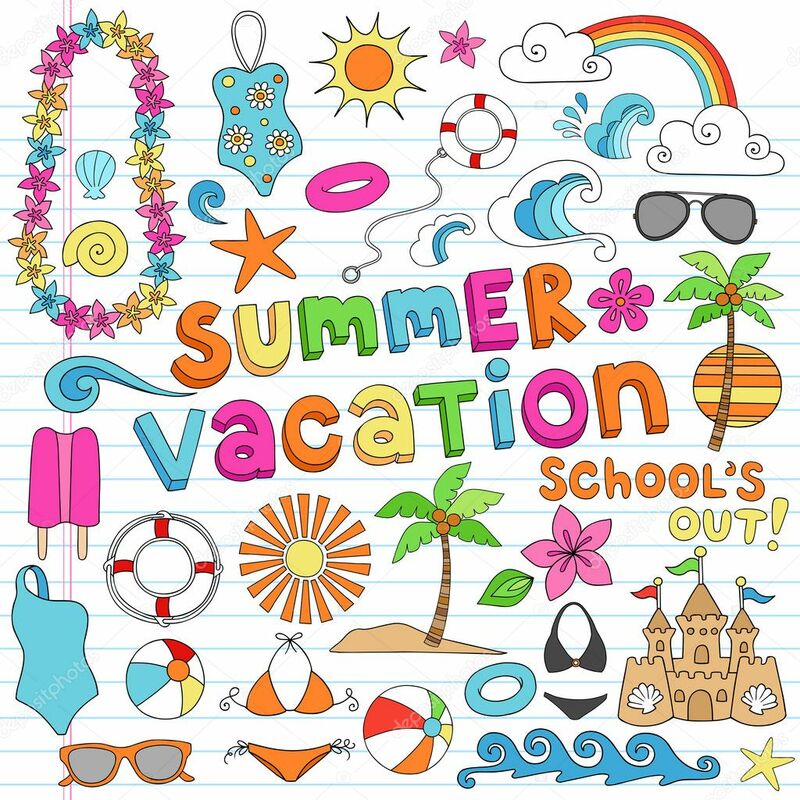 After all, you want your child to have the best of memories of summer vacations, don’t you?